Establishing a continuity plan is essential for many businesses. However, the task also includes testing the plan to ensure it is both adequate and logical. The procedure for testing a business continuity plan depends on the plan and type of business. Because plans are designed to meet an individual business' needs, there is no single way to test a continuity plan. Instead, the testing procedures should be organized to accord with the specific plan. Despite the fact that each test differs because of distinctions in individual plans, there are four main components to every exercise: planning, preparation, funding and execution. The first step to testing a continuity plan is to create a test plan. Although it may seem the plan itself should contain all necessary elements for it to operate, the truth is you cannot test the plan without preparing for the test. The most important aspect of planning for the exercise is to decide the schedule of events and the type of emergency that will occur. The main determinate of which schedule to use depends on your business operations. The test exercise can take place all at once or over a period of several days. If it is possible to completely stop operations for an entire day, it may be beneficial to run through the plan from start to end. If you cannot cease all operations for the test exercise, it may be better to schedule a specific period of time over consecutive days to implement different sections of the plan. 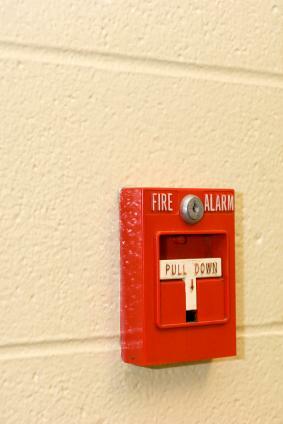 The other type of planning that must be completed is determining the type of emergency. This is important because not all emergencies affect every aspect of the business, thereby necessitating practicing each part of the plan. For example, a tornado might wipe out your business' main office, but a flood may not have the same effect, if your office is located on the fifth floor. To choose the type of disaster to incorporate in your test exercise, identify the ones that will likely involve the most parts of your plan. Later, you can imagine alternative emergencies if you want to test other parts of the plan. You cannot test a continuity plan without sharing and discussing it with managers and employees. First, copy the plan and disburse it to key managers. You may want to highlight areas that pertain to specific managers that require them to perform a task. If possible, hold a meeting to discuss the plan as well as the goals and desired outcomes from performing the test. Next, you must disseminate the plan among the company's general employees. Here again you will need to discuss the plan's general purpose and specific details. Make sure you tell the employees exactly what is expected of them and what the purpose of any upcoming exercise. One of the most often overlooked aspects of running a test exercise for a continuity plan is funding it. Performing the exercise means reducing the amount of time employees spend working and may also require using different software programs, telephone communication systems and other items not commonly used in day-to-day business. Each of these things costs money which you must anticipate and pay for. Prior to running the test, ensure each of the company's departments can bear the cost. Once prepared, it is time to actually run the test exercise. This includes announcing that an emergency has occurred, thereby requiring implementation of the continuity plan. Whether you make the exercise a surprise or schedule it is up to you, but, regardless, all procedures should accord with the plan's directions. Executing the plan, however, also includes taking notes about the exercise, particularly any problems. This will help identify any issues that should be resolved, unnecessary elements or aspects that need to be completely revised. After the test, consider meeting with managers and employees to discuss how they felt the plan worked during the emergency. This meeting will provide you with feedback on what worked and what didn't, which you can then compare to your notes. A continuity plan is not entirely worthless if it is untested, but testing offers a greater sense of comfort once you ensure that the plan meets your business' needs. Testing your plan, however, requires forethought and involvement of entire company. Therefore, communicate your goals with your team prior to implementing a test run to ensure it will provide you with the information you need.